Through studying the composite chart of a relationship, we can gain important insights into the dynamics of a couple. The composite chart is the chart of the relationship itself. 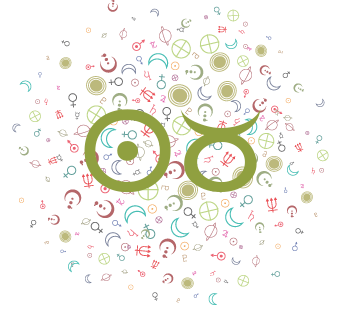 It is derived by determining the mathematical midpoints between each person’s planets and points, and is an entirely new chart altogetherthe chart of a relationship. Basic relationship dynamics can be seen in the composite chart. As is the case with a natal chart, we must work with the energies in place, rather than submit to being ruled by them. We can learn to harness the energies created by the more difficult aspects in a composite chart, and to appreciate the positive energies bestowed upon us. Relationships are not staticthey move and develop with time. As such, not all aspects and positions in the composite chart will be overt or apparent at the outset of a relationship. There are some advanced techniques that some astrologers use to gain a better understanding of the evolvement of the relationship, including transits to the composite chart and progressing or directing the chart to a date beyond the initial meeting. However, there are some things we can look for in the composite chart itself. For example, the composite Ascendant can indicate the circumstances surrounding the first meeting or the beginning of the relationship. It can also point to how a couple initiates things together (such as projects). Similarly, the end of a relationship can be depicted by the composite twelfth house. Once a relationship kicks in (moves beyond the initial stages), the composite Sun becomes more apparent. If a commitment to each other happens, the seventh and eighth houses come more clearly into focus. 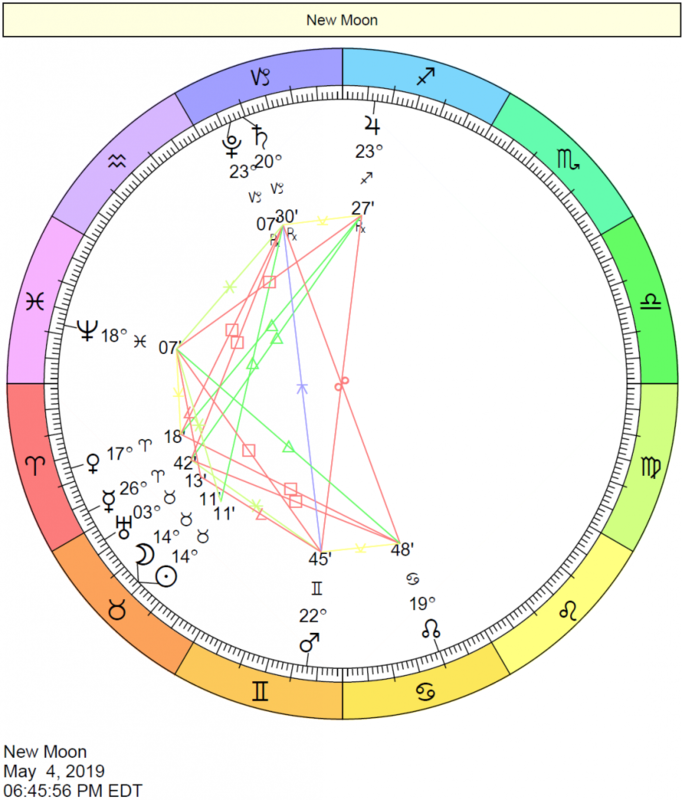 As such, the conditions surrounding the planets and houses in the composite chart can show us different stages of development of the relationship over time. We must pay attention to such factors as predominance or lack of aspects, and unaspected and most-aspected planets. For example, an unaspected Sun in the composite chart can indicate a feeling that the relationship lacks direction. There may be difficulty seeing where the relationship is heading, and there can even be questions as to why it exists in the first place. The composite chart is the chart of a relationship, and is derived by taking the mathematical midpoints between each person’s planets and points. You can use Astrodienst.com‘s free chart service to obtain a composite chart. Planets in aspect to the composite ascendant show active and obvious energies that the couple faces in their day-to-day interactions. What is the couple’s automatic response to the environment? What are their natural defenses? How do they cope with day-to-day issues? These energies are most overt and obvious to others outside of the relationship as well. They can show immediate, in-your-face reactions to one another, and this is one reason why the condition of the composite Ascendant can point to how the relationship got started in the first place. Sometimes it is as literal as a Capricorn Ascendant with its ruler (Saturn) found in the fourth house in the composite chart of a couple who met for the first time in a home (fourth house) and it was a planned (Capricorn) meeting! Flowing aspects to the composite Ascendant can suggest ease in handling the issues surrounding the planet making the aspect. These energies are usually well-received by others. One of the dangers of aspects to the composite Ascendant stems from the fact that these energies are very apparent to people outside of the relationship and they act to define the relationship to others. With many flowing aspects to the Ascendant, for example, a couple may appear to be good for each other to others. Those outsiders may make comments that the couple seems right for each other, without knowing the less-public inner workings of the couple. It can be all too easy to identify with these observations and to “live up to” them. If a couple, behind closed doors, is having difficulties relating, but the energies most obvious to others are largely harmonious or positive, the couple may feel some pressure to “be” the couple they appear to be and to hide the difficulties they are having. For example, on a day-to-day level, if the Moon makes a flowing aspect to the Ascendant, the individuals in the relationship naturally react sensitively to each other. There may be an immediate feeling of compatibility and familiarity. Others might comment that the relationship is warm and natural. Difficult aspects to the Ascendant from the Moon suggest a tendency for the couple to be over-protective of each other or excessively emotional. They may dramatize the day-to-day stresses they face together. They may react to little stresses in a big way, emphasizing their inability to cope and neediness. Others may see the relationship as a co-dependent one. When a planet conjuncts the North Node in the composite chart, there can be a real sense of purpose and direction in the relationship. When the North Node is challenged, there can be a feeling that the relationship is not conducive to growth. Neptune in hard aspect (including the conjunction) to personal planets in the composite chart can be highly challenging in my experience with composite charts. They generally play out over time. What starts as an almost idyllic relationship can turn sour and even bitter over time. Why? A strong Neptune can feel downright wonderful at the beginning, until reality starts to seep in. The couple may idealize each other, in different ways, and the wonderful first impressions can be hard to live up to. Let’s say there is a Moon opposition Neptune in a composite chart. We can see that potential for disappointment is connected with the composite Moonthe emotional pipeline of the relationship. At the beginning of the relationship, there can be a very strong feeling of familiarity and comfort, and an emotional connection that seems out of this world. The problem that can arise from the elation the couple feels on an emotional level can stem from the perceptions of each individual involved, and the expectations they develop in the early stages of the relationship. When elation brings you very high, the fall is hard. Some of the initial feelings that a comp. Moon opposite Neptune can generate include feeling like one’s partner is the most supportive person one has ever met, for example. Over time, that partner will falter and stumble in the emotional department, as he or she is human. The problem with Neptune is that the expectations can be so great that they are inhuman. Another problem with Neptune is a lack of definition. Misunderstandings between individual expectations of the partnership are often the result of unclear communication. Sometimes, there is outright deception involved, but most of the time it is nothing of the sort. Neither party means to promise more than he or she can deliver, but they may be guilty of trying to fill the shoes of the ideal image that has been set up for them, and tip-toeing around hard cold facts or commitments. If that same composite Moon opposition Neptune receives a supporting trine and sextile, for example, from Mercury conjunct Pluto, then we have an escape line. (Although, since we are talking about Neptune, “escape” would probably not be a good way of putting it. Handling Neptune effectively involves facing facts and making definitions, rather than escaping problems). There is a clear opportunity to get past the challenge of the opposition. 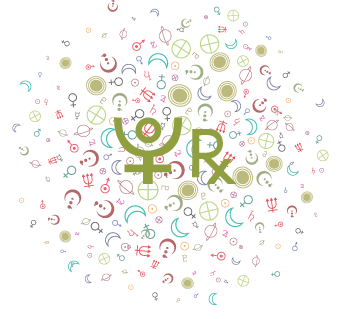 In this case, Mercury conjunct Pluto suggests an ability to talk things through and get to the heart of the matter. Here, the couple has a clear opportunity to work through the challenges of the opposition, and the tools they have are their willingness to find meaning and growth opportunities in their relationship. Mind you, Mercury conjunct Pluto has challenges of its own. On the one hand, psychological understanding, and a willingness to delve more deeply into attitudes and thought patterns of one another, can help the couple grow. On the other, there may be a tendency for communication between the two to be too weighty, too serious, and even compulsive. An especially negative manifestation of this whole configuration might be a compulsive (Pluto) desire to define (Mercury) the meaning of the relationship on the level of emotional attachment (Moon), but either one partner avoids (Neptune) the confrontation altogether, or if he or she does confront it, the other person misinterprets (Neptune) their partner’s answers in an attempt to see what he or she wants to see (Neptune). With Pluto connected to Mercury, there may be a desire to direct the thoughts of one’s partner, molding them into what he or she wants (Neptune) to hear. This is just one possible manifestation that serves as an example. The composite chart quite vividly reveals some of the dominant dynamics in a relationship. Just as with a natal chart, the composite chart will contain apparent contradictions. It may contain, for example, Venus trine Mars and Sun square Mars. Venus trine Mars suggests an easy flow of creativity, and a non-competitive nature to the relationship. On the other hand, Sun square Mars suggests some real disruptions and clashes. These potentials exist simultaneously. They are always present, but each aspect will be expressed more overtly in certain situations and circumstances. When we talk of situations and circumstances, as students of astrology, we often will immediately look to houses of the chart. We can read the houses in the composite chart in a similar manner as we do the houses of a natal chart, except we must keep in mind that we are reading the chart of a couple. Let’s take again the example of a composite Sun square Mars. What if Mars is found in the eleventh house and Sun is in the 8th? The clash of Sun and Mars has a context when we factor in the house placements. Two powerful yang planets, the Sun and Mars, are found in houses that represent two different experiences. On the one hand, we have an objective-oriented Sun in the house of personal intimacy. On the other, we have the very strong pull of Mars in the house of individuality! We might expect that partnership goals will be a bone of contention in the partnership. Intimacy vs. individuality may be a common theme of the couple’s disagreements. Our study of the composite Moon opposition Neptune aspect mentioned above can have more meaning when we consider the house positions of these planets. If Neptune is in the 11th house, for example, we might assume that the tendency towards misunderstandings and delusions, and a lack of boundaries and definition, may be most obvious in eleventh house experiences or circumstances. We can factor in issues of individuality and freedom, for example. The emotional connection that the couple feelsthat connection that feels “out of this world”may lack definition in terms of how free each individual is to be himself or herself, to act in an independent and objective manner (eleventh house). Perhaps any kind of expression/display of independence and objectivity on the part of one person in the relationship will feel threatening to the other. The composite Moon in the fifth house is very personal and subjective. Although the fifth house is not as deeply intimate as the eighth house, its energy is such that it demands a personal and special bond. When it meets the objectivity of the eleventh, a house that sees everyone as a potential friend, not just one special person, there can be a perceived threat. With the fifth house composite Moon, and Neptune challenging that Moon, there is an unspoken (but very present) script for the emotional level of the relationship. When Pluto is prominently connected with personal planets in the composite chart, we can find issues with compulsive control in the relationship. With a heavy Moon-Pluto composite aspect, for example, the relationship is likely to possess a theme of emotional manipulation. Games are played, and there can be emotional smothering and frequent issues with possessiveness. 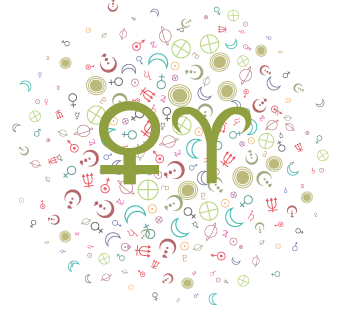 Even Mercury-Pluto aspects can represent some kind of attempt to mold one another into thinking a particular way. Partners should be reminded that the fear of loss of one another can easily become a self-fulfilling prophecy if tactics and games are used to try to “keep” a person, or to enforce some kind of dependency on each other. 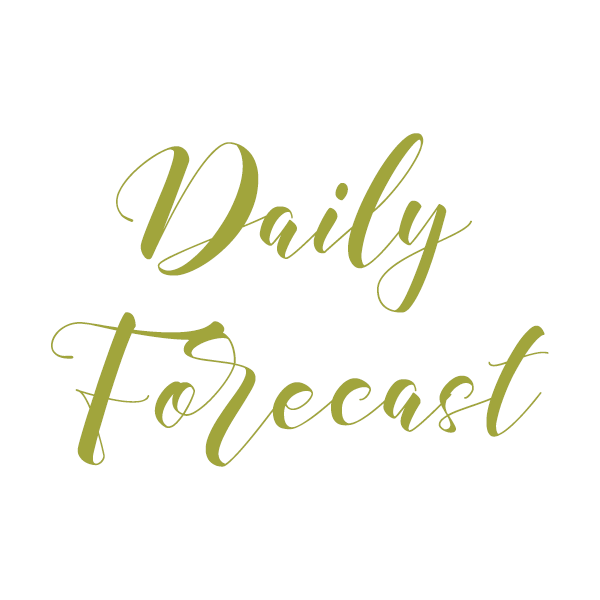 When Pluto is connected with personal planets in the composite chart, and is playing a supportive role, the connection can be intense but not quite so overwhelming. The position of the planets in the composite chart by house is significant and should be considered. We can study each planet’s position by house, and we can also zero in on any houses that are especially occupied in the composite chart. Three or more planets in a house, especially when the Sun and/or Moon are involved, can certainly be considered an emphasized house. A strong composite first house, for example, can suggest a couple who is quite concerned about how others think of their relationship. They need to be wary of getting too caught up in their image as a couple and neglect the inner workings of their partnership. It also represents a very strong image of the relationship. The people may feel more powerful in the relationship than they do on their own. An emphasized composite second house might suggest a relationship that is built on security reasons. This relationship may have an obvious practical side to it so that it seems a bit like a business arrangement even if it isn’t a business set-up. They need to rely on each other, and if the planets in the second house are well-integrated, they feel like they can count on each other. An emphasized composite fifth house points to a focus on the fruits or creations of the couple, which can often be the children of the marriage. The condition of the composite fifth house can suggest how much enjoyment the couple derives from the partnership–how much fun they have. 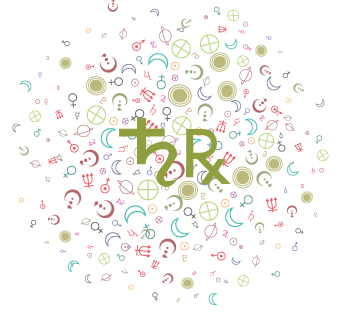 A challenged composite fifth house (perhaps one that has Saturn or Pluto, for example, posited in the fifth or challenging planets in the fifth) can point to problems with self-expression in the partnership. The individuals involved may feel that the partnership doesn’t allow them to have fun or it stifles their creative growth. A well-integrated and strong fifth house in the composite chart, on the other hand, can point to a highly romantic, creative, and fruitful partnership. 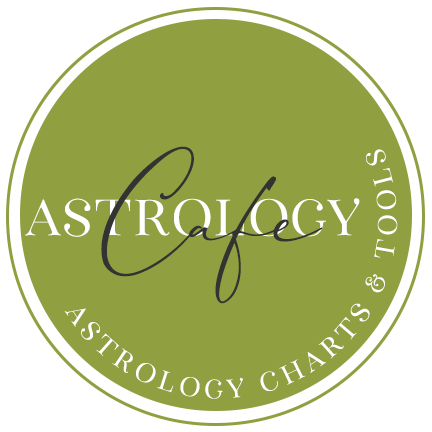 Every astrologer, after working with composite charts over the span of years, has his/her own guidelines and tips for interpreting a chart. I am no exception, of course. The overall feel of the chart is most important to me, but I do watch for certain “markers”, some of which I will share with you here. Composite Sun trine or sextile Moon helps a relationship significantly. There is a certain level of comfort and affection with these aspects that help strengthen a bond between two people. Composite Venus trine or sextile Mars offers a couple a certain level of comfort and lazy pleasure. These aspects lessen the element of competition that can drag a relationship down, and they add to general creativity and productivity. Giving and receiving is easy with these aspects. Although these aspects don’t make or break a relationship, they can help a relationship that is otherwise powerful. Challenging aspects involving Neptune in the composite chart can be very difficult to overcome, especially when the Sun, Moon, and/or Venus are involved. Disillusionment and the feeling of being cheated or weakened through the association/relationship is often a big problem. Composite Sun square Mars is one of the more challenging aspects. Two strong egos butting heads is often the result. An unaspected Moon, or a Moon that receives only challenging aspects, in a composite chart often leaves both parties feeling alienated and dissatisfied. Saturn challenging the Sun and/or Moon is often found in the composite charts of parent and child as well as marriage partners. In the case of parent and child, these aspects are easier to manage, likely due to the nature of the relationship itself. In the composite chart of marriage partners, although this aspect implies a certain amount of responsibility to each other and suggests a relationship that impacts each person powerfully, the relationship may feel like a burden. Venus or Mars in challenging aspect to Saturn are not unmanageable aspects, but they can point to some serious problems. A relationship that goes through many “droughts” in terms of affection/love/sexual expression is often the result. Prominent Uranus in the composite chart can add excitement to the relationship, but can also generate a certain amount of mistrust and unpredictability. The relationship’s survival will depend greatly on the individuals involved and their ability/desire to maintain a relationship that is somewhat unconventional and perhaps unreliable. Uranus can be an energizing or destabilizing energy, and often is both. Chiron sextile or trine the Sun, Moon, Venus, and/or Mars are helpful and strengthening. These aspects often point to a healing and strengthening element to the relationship that can be very invigorating and addictive! The individuals involved are likely to feel that the relationship helps them to grow as individuals, and that the relationship itself has a strong sense of purpose and hope. These positive feelings assume that the individuals involved appreciate a theme of healing. The challenging aspects involving Chiron and the personal planets can point to resentments over perceived inequality in terms of who is helping the other. The overall feel of the composite chart is very meaningful to me. A scattered chart suggests to me a relationship that may not be as meaningful or powerful than it is when the chart has a definite pattern and areas of focus. Unaspected planets are warning signs to me. A fair balance of easy and challenging aspects is, to me, a “good” sign. I look to see if any of the personal composite planet/point positions conjunct the individuals’ personal planets and points. For example, if the composite Sun is at 22 degrees Virgo, and one of the individuals has Moon at 20-24 degrees Virgo. If there are 2 or more of these, I consider them powerful signs that the relationship will be a meaningful one. If only one of the individuals receives these aspects, this can be a sign that that person is more attached to the relationship than his/her partner. In my notes above, I mention that I look to see if the personal planets in a composite chart conjunct any of the personal planets or points in each individual’s natal chart. If you are studying a relationship in-depth, you might also consider taking this concept further. The composite chart is a chart of the relationship itself, and reveals the specific dynamics of that relationship. As such, we can conceivably compare natal charts to the composite chart in order to see how the relationship itself impacts an individual, and vice versa. This individual can be either of the individuals involved in the relationshipbut it can also be someone else altogether! For example, when analyzing family dynamics, it can be revealing not only to study the synastry between mother and child and between father and child. We can also compare the child’s chart to the composite chart of the mother and father in order to see what kind of impact that relationship has on the childand the child’s impact on the relationship! In these kinds of analyses, sometimes the symbolism is very literal. For example, parents of a friend of mine had divorced because her father had had an affair with another woman, whom he later married. My friend had birth data for both of her parents and the “other woman”. The degree of the other woman’s Sun was exactly conjunct the married couple’s composite Sun. In this case, the other woman’s birthday fell at the midpoint of the couple’s birthdays, symbolically “coming between” the couple. What does the relationship itself mean to an individual involved in that relationship? Overlay the composite chart of that relationship onto the natal chart of the individual to find some answers. An example from my files: my female client explained that her relationship with a man had started off quite passionate, but when it began to “fall apart” (on an intimacy level), and it was headed for a break-up, the man insisted that although he accepted that the relationship should cool off, he felt that they should continue to talk on the phone once in a while. Why? He explained that he felt that when they talked to each other about problems, they often came to some very workable solutions. The composite Sun (which represents the purpose of the relationship) conjuncted his Mercury in his 10th house! To him, the brainstorming (Mercury) between the two amounted to something very usable and worthwhile (tenth house). Going with this concept, there are many different possibilities. If, for example, the composite Sun of the relationship falls on an individual’s IC (fourth house cusp), the relationship may be almost primal to the person. It may easily become habitual. This person is likely to be attached to the relationship in a very basic way, and might have a hard time believing he or she can exist without it. If many of the personal planets and Ascendant in the composite chart fall in an individual’s second house, he or she may consider the relationship to be a vehicle through which he or she can find some securitynot only financial security, but also a sense of grounded-ness and usefulness is derived from the relationship. If composite Jupiter falls on one individual’s Ascendant, he or she might feel the relationship augments his or her personal reputation with others, or it gives him or her a sense of personal well-being that is measurable. If you would prefer to “cut to the chase” in this particular analysis, you might decide to note only the Composite Sun and where it lands in each individual’s chart, suggesting each individual’s perception of the purpose of the relationship. 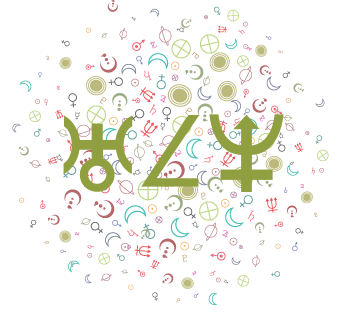 Besides examining the synastry between each individual’s natal chart and the composite chart of the couple, we can also compare the overall feel of the composite chart with the natal charts of the individuals involved. If one of the individuals involved has one planet in his eighth house, and that planet is Saturn, for example, and the composite chart reveals a heavily-posited eighth house, the relationship itself may be very attractive to this person at the beginning, but might later feel overwhelming and draining. Sometimes we will see individuals with strong house emphases in their charts that are entirely different than the emphases in the composite charts. This can be exciting, indeed, as the relationship offers new, uncharted avenues of expression for the individuals involved. The composite chart, unlike the Davison Relationship Chart, is derived by taking the mathematical midpoint between each person’s planets and points. The Davison Time-Space Relationship chart is similar to the composite chart, except that it is drawn for the date, place, and time that is exactly midway between the individuals’ birth times and places. Composite charts and Davison Relationship charts often look similar. However, Davison charts have “time and space” realitythese charts are drawn for real points in time and space, and include phenomena (such as retrogrades and eclipses) that composite charts do not. So, while we can progress the Davison Relationship chart using traditional techniques, if we want to study the progressed composite chart, we first progress the natal charts of the individuals to a specific date, and then make a composite of those progressed charts. The progressed composite chart can then be compared to the composite chart. Very often we can see the progressed composite Moon coinciding with relationship issues. If it touches off a composite conflict, for example, we might see the issues surrounding that conflict surfacing. I have seen break-ups occur when the progressed composite Moon sets off a composite Sun opposition Saturn and the progressed composite Moon sets off a composite Sun square Mars, for example. (Here, by “sets off”, I mean it activates either point of the composite aspect by conjunction). In situations such as these, perhaps the break-up was something that should have happenedit may have been a long time coming. However, if a couple is counseled in advance of the progressed composite Moon triggering a major and challenging composite configuration, they can better prepare for the potential upcoming conflict. If both parties desire saving the relationship, they can benefit from the perspective, and recognize that although the trigger will bring up real issues that should be faced, it is also transitory. See Composite Chart Planetary Aspects for interpretations of the planets in aspect in the composite chart. Getting into the composite chart “frame of mind” involves wrapping our minds around the fact that the chart is of a relationship as a third entity. Keep in mind that a composite chart is a midpoint chart. It is where two people come together, and how they combine. Even so, people can take on the roles of, or play out, certain planets or energies within the composite chart. We like to assume that both men and women “own” the Sun and Moon, which represent the yang and yin (masculine and feminine) energies respectively. However, it is also obvious in some situations that the man in a relationship may vibrate to the Sun energies more readily than he does the Moon energies in the composite chart, and he can often take on the role of the Sun in the composite chart as a result. Similarly, the woman in the relationship may be more attuned to the composite Moon. We cannot go so far as to say that the composite Sun represents the man in a relationship and the Moon represents the woman in a relationship, but if you study composite charts long enough, you will see this attunement happen often enough. So, in some situations, if for example there is a Sun conjunct Saturn in a composite chart, it may not only represent a relationship that has a distinct air of practicality, it can also suggest that expression is restrained or forced, especially on the part of the man. 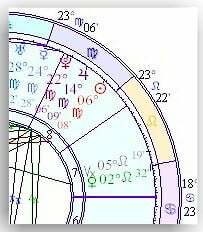 Another example (from my files) reveals a composite Sun that squares Mars, while the composite Moon forms a number of trines to Jupiter, Mercury, Uranus, and Pluto, as well as an opposition to Neptune. In this particular example, the woman enjoyed the relationship so much more than the man did. He found their relationship strained and combative, while the woman felt that the relationship opened up many avenues of expression (represented by the trines). She saw so much more potential to the relationship than the man did. The opposition of the Moon to Neptune did represent her subsequent disappointment and disillusionment when the relationship dissolved and she was left wondering why the man was so willing to give the relationship up. Although situations like the one in the example above do occur, we really have no idea “who is who” in the composite chart unless we consult with the individuals in the relationship. Usually, there is no “who”, but some individuals do “tune in” to certain vibrations in the composite chart. We can also note if any planets in the composite chart conjunct planets or points in the natal charts of the individuals involved. If, for example, a man’s Sun and Mercury are found within 1-2 degrees of the composite Venus, he may tune into the composite Venus vibration more naturally, and act out its aspects. Another example would be if a woman has Mars in Capricorn natally, and the composite chart includes a Mars conjunct Saturn, she may play out that composite aspect. chart are pulled from this excellent work. writing style is a little more conversational then Hand’s.